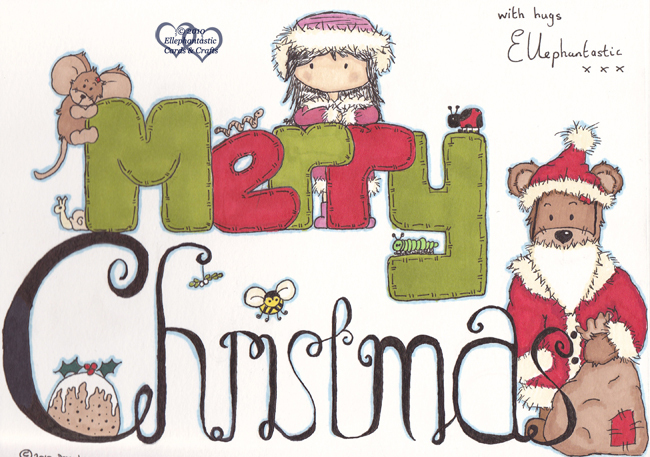 Merry Christmas & Happy New Year to all my friends!!!! Last night I sat & sketched, coloured & then scanned this picture in to send all my family & friends as their Christmas card. Thank you to you all for you continues support throughout the year. This is just cuter than cute...love the way you have combined all these fun images! !